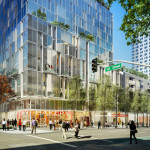 In addition to cutting 99 residential units from their development plans for Transbay Block 8, Related California has reduced the project’s proposed grocery store space from 22,000 to 12,500 square feet, which means that Whole Foods is out and the developer is now seeking a “comparable” type of grocery to fill the future space at the corner of Folsom and Fremont. I see valued engineering coming! That is sad news for Rincon neighborhood for sure. Maybe a Target Express would fit in 12,500 sq feet? There is already a whole foods 4 blocks away. That was my thought when they announced it a few months ago. Exactly, residents can drive from their parking garage 4 blocks to the Whole Foods parking garage. Drive to the Whole foods on 4th? How do you guys want even more traffic around that neighborhood? We need people NOT using their cars. That means stuff needs to be walkable. 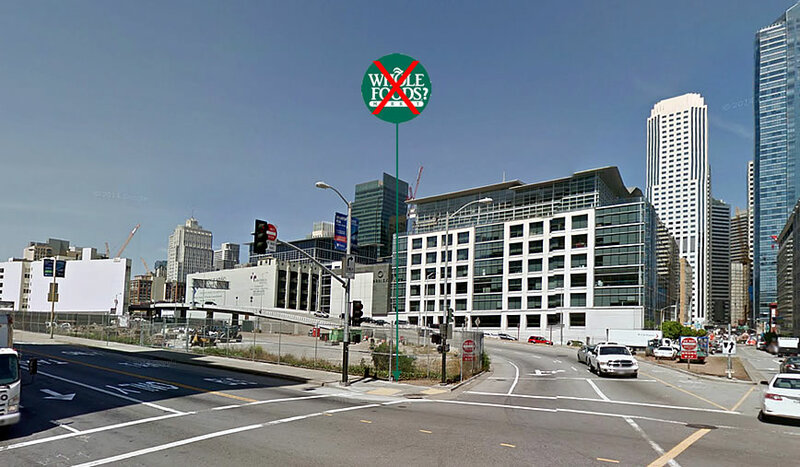 Anyone aware of the number of buildings that will be walkable to where this Whole Foods was going to be laments having a crappy little market a la what’s on 8th/Harrison. Also the WF on 4th is downhill on Harrison & map it and see the distance is too far to carry groceries. And this while the population density around Folsom/Fremont will be among the most dense in SF in 2020 just 5 years from now. I strongly disagree with these comments. And Lumina is incorporating a high-end Market by the people of the Twitter building grocery, so at least these poor folks living in the ‘hood won’t go hungry. Plus, they probably all use grocery delivery apps anyway. 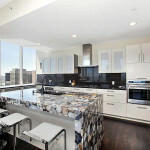 It is easily walkable. Just use a granny cart to haul the groceries. 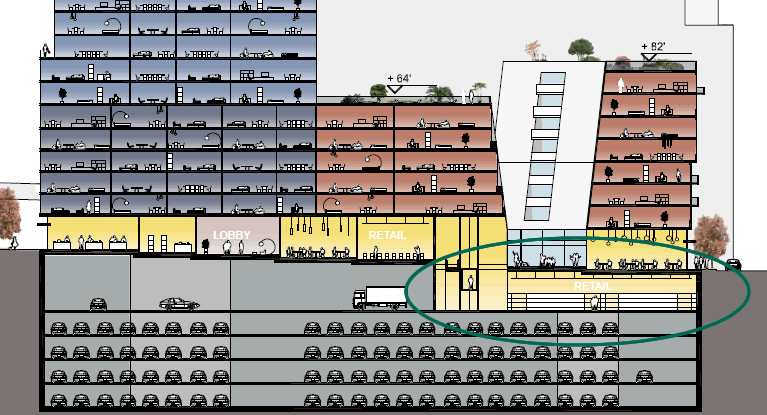 Surely if we demand more concessions from the developer, there will be space for a Whole Foods. Very, very sad indeed. The WF at 4th up the hill from us is far from walking distance to people with children and heavy loads of groceries every week. Also we do not like the delivery option as it does not carry many of our desired items and it costs (item by item) more than in the store. So disappointed that I could cry or just move out of this neighborhood. I live in the Infinity as well (since ’08) and I’m mildly bummed too, but let’s try and get some perspective: 1) the majority of people in SF don’t live within 4 blocks of a major grocer, hence all the corner stores (I’ve lived in 6 neighborhoods over 18 years); and 2) for people who live in neighborhoods like Nob/Russian/Telegraph Hill, Folsom Street from Main to 4th does not count as a ‘hill.’ I know it isn’t easy, especially with kids, but I’m guessing that warrants the ~$7 uber-x fare and foregoing one item at WF. This should not be an event that drives one to tears; 800 migrants dying in the Mediterranean off the coast of Sicily this weekend, yes. Way to put things in perspective, sfjhawk. Like! Nice one sfjhawk 😉 also MrTibbs and Infinity resident, did you not see my comment about Lumina including a big, high-end grocery? You’re definitely not in a food desert, so save those tears. OMG, are you a real person? Did you just move to a) a city, and b) a condo desert like Rincon Hill, from c) Topeka, without understanding the dynamics of how a place like (a) and (b) work? And if you live in Infinity, you could probably afford to buy all the other posters on this thread at least 20% of their groceries without shedding a tear, financially, so…worry about something that matters – like HIV/AIDS or Hunger in Africa or poverty still rampant in the southern parts of the city. I guess the families and other wealthy people who are being targeted to live in this building can have all of their food delivered. What a tragedy for these people because nobody else in San Francisco has to walk 4 entire blocks or more to a Whole Foods (or even, GAG, a Safeway). And it’s UPHILL. We in the rest of the City have no hills to make our less-than-4-block walks to Whole Foods so much more debilitating. A pretty glib response. Round trip between the two is 1.4 miles, hardly a trifle. Would I want my wife to walk that at night? A whole foods or other grocery store built here would be bursting with clients (workers and local residents) all day long. Try carrying a jug of orange juice, milk, and eggs (not including other perishables) for more than a few blocks and your arms would be pretty tired. Also people incorrectly assume that financially well-off people don’t mind throwing away money by riding in Uber, shopping solely at WFM, or get all of their stuff online and delivered. In fact, most successful people shop frugally and smartly, utilizing various shopping options depending on deals. Having more, not less, retail establishments in a densely populated neighborhood is a good thing. Thats why civilized urban cities have delivery. Just use a granny cart then. Even grannies who aren’t into body building can haul jugs of milk and OJ in them. You mean re-inventing the wheel? People are so lazy their wheels are powered by old dinosaur juice instead of their overabundant stored calories. Not that I’m asking for any citations on the above (successful people’s frugality; I haven’t read the Millionaire Next Door but i’ve heard it goes along the same lines) but I think there’s also a few assumptions that: 1) there are numerous options available to people to overcome the 1.4 miles: it’s not just walk 1.4 miles up a ‘hill,’ in the dark, with two bags of groceries; and, 2) successful/well-off people tend to be pretty smart/adept at figuring out how to overcome such challenges even if it requires them to be frugal, not walk in the dark, with heavy items. I honestly can’t believe that this is something that people feel is such a huge challenge. maybe a Trader Joe’s would fit? That’d be a hit for sure. Lotsa folks moving into the neighborhood’s coming 1,000 BMR units aimed at folks making ~$40,000 a year wouldn’t have been able to afford Whole Foods at all anyway, Trader Joe’s would be better. It’d be nice to have a place to walk to without crossing over 1st Street and other dangerous freeway ramps disguised as city surface streets. I’ve haven’t been to many of them, so others who know these establishments better can comment on quality and fit into the plan or suggest other options. Seems to me like there’s several options to WF. Maybe even a local business looking to expand? 1) There is a WF on 4th, which is like half a mile away. (to the complainers in the Infinity about your 4 block “uphill” walks – you guys sound like AWFUL people if that’s what you complain about. you chose to live in an expensive upscale condo desert in an urban city with hills, with kids, YOU made that bed and chose your life, and if that’s your biggest problem, then I hope you have a real life changing event soon – your comments were the most offensive I’ve read in some time). 3) The Market is opening in something like 10-20,000 sf in Lumina, across from Infinity, and will be very upscale and offer much the same at smaller scale than WF. 4) Even with all of the new units, the collective “neighborhood” will still not be as dense as a Nob Hill or Russian Hill or Lower Nob Hill and will not have as many people (and yet will have more in the way of “grocery stores”), so until even MORE towers open, this will still be a quiet “downtown” neighborhood that doesn’t warrant the intensity of commercial/retail uses that other more traditional neighborhoods do. So that begs the question – how much crack does WF have to smoke to open an expensive, partially underground location here with all of the above going on? It would appear nobody over in HQ in Austin is smoking crack. Ok, good. Now that that is settled. Anyone know where to buy almond milk in the financial district?